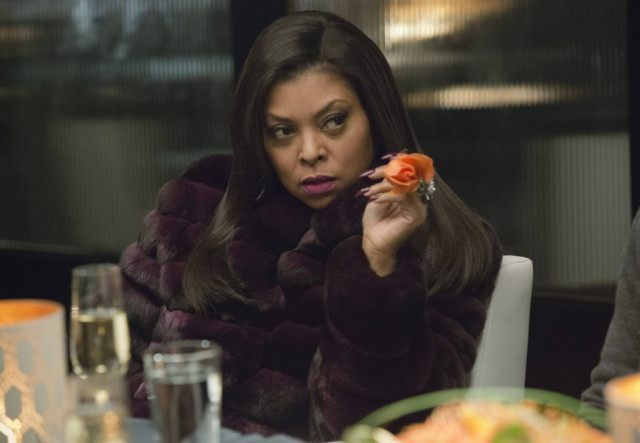 NEW YORK (AP) — Fans of “Empire” will be able to binge-watch each episode of the drama’s current season prior to the season finale on May 18 as part of an unusual syndication deal between Fox and the TV One network announced on Thursday. “Our audience is going to really devour the show,” said Brad Siegel, TV One president. Gone are the days when a television show’s 100th episode was cause for celebration on the set — that was traditionally the cutoff point for the number of episodes necessary to sell rerun rights in syndication. But BET blazed a trail in 2013 in its deal with ABC’s “Scandal” in only that show’s second year. It enabled BET to air reruns eight days after the original episode was first aired on the broadcast network. The “Empire” deal benefits TV One in putting one of television’s hottest shows on the air, and Fox because it gives fans extra opportunities to catch up with the stories on a serialized drama. When “Empire” takes a break midway through its third season next winter, TV One will air that season’s episodes prior to the midseason return. Serialized shows are well-suited to these new arrangements because they’re not as durable in reruns as dramas like “Law & Order,” where each episode is a single story, said Bill Carroll, an expert in the syndication market for Katz Media. “I really think it’s smart on Fox’s behalf to recognize that you have to do things differently now, the world is changing so fast,” Siegel said. TV One hopes the attention it receives from televising “Empire” will attract viewers to its growing slate of original series. The network is also aggressively moving into the TV movie business, and will produce 26 new movies next year, Siegel said.